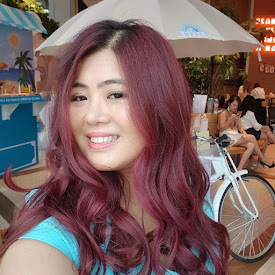 Last weekends I took some time off to go Michael Badminton Academy in Port Dickson last weekends for 8th MBA International Badminton Championship since I really like badminton game and haven't really explore PD before ... so why not! 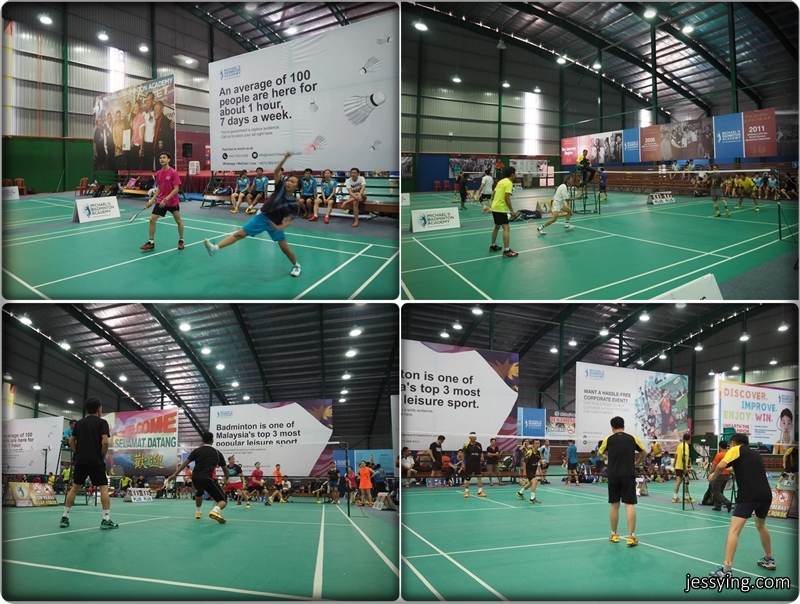 This is actually Michael’s Badminton Academy (MBA) latest badminton hall in Port Dickson – a full badminton facility equipped with modern and contemporary design and technology. There total of 18 courts here with court rental charges of RM9 for 3 hours if you join their membership. All ready set for the grand opening of this Michael's Badminton Academy Grand Opening in Lukut, Port Dickson. Apart from local badminton enthusiasts, MBA is also honoured to have the exceptional backing of its international counterparts from Taiwan, China, Indonesia, Singapore and Vietnam that have continuously been supportive towards MBA’s International Tournaments over the years. 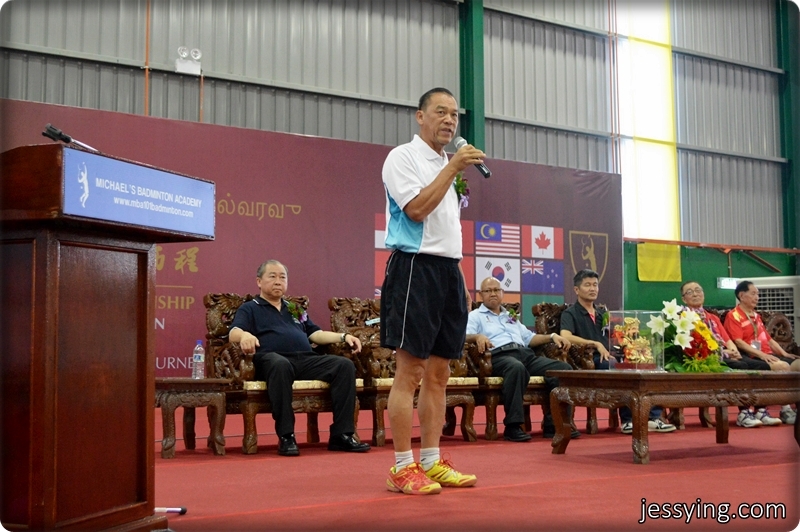 Mr Lee Kok Choong is the Managing Director of Michael Badminton Academy shared is opening speech. He said "At MBA, badminton is more than just a sport. 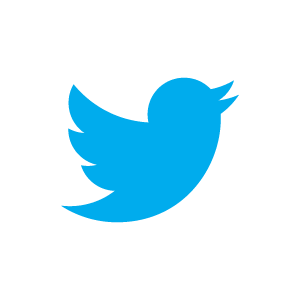 We help people discover and improve. We help educate and inform. We watched as friendships develop and families bond. 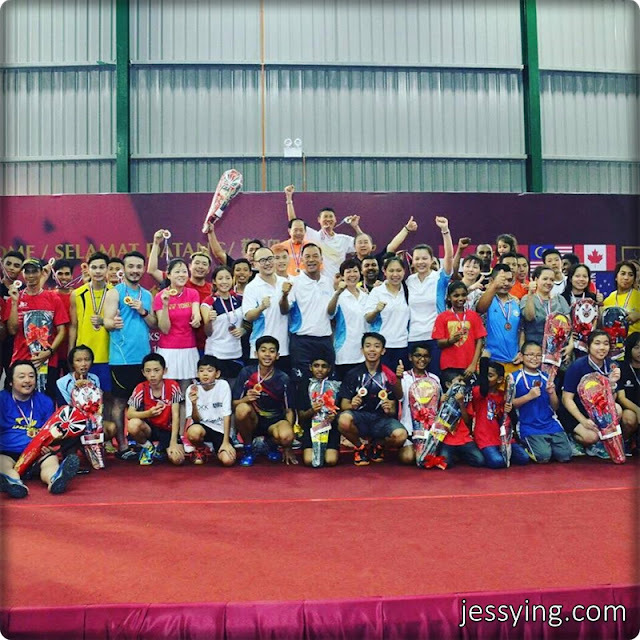 This is why is a one-stop badminton solutions provider which includes a full-fledge training academy and MBA tournaments always include special categories for families”. This is Mr Michael Lee the founder of Michael's Badminton Academy. He is also an avid badminton player and always travel to play in International tournament. It's MBA's vision is to be the hub of private badminton training and solutions at the international level, to produce world-class players. And so far they had held more than 10 major international tournaments over the years, hosting close to 10 thousand players from around the world. And training academy has trained almost 35,000 students via our junior development programmes and provided free training for underprivileged children via our Hope for Change badminton charity programme. MBA also showed their gratitude by recognizing and awarding this 8th MBA International Tournament participants that are more than 80 years. They also showed generosity by giving back to the communit. Two RM5000 cheques has been presented to the two charity homes. This event was officiated by Dato' Abd. Khalid Bin Mat, YDP Majlis Perbandaran Port Dickson, the launch of MBA PD kicked off with the 8th MBA International Badminton Championship 2016 from 11th to 13th March 2016. Also in attendance of the official opening of MBA Port Dickson was Mr Ng Chin Chai, Secretary of Badminton Association Malaysia (BAM) and Mr Wu Jun Yan, President of the World Chinese Badminton Federation. 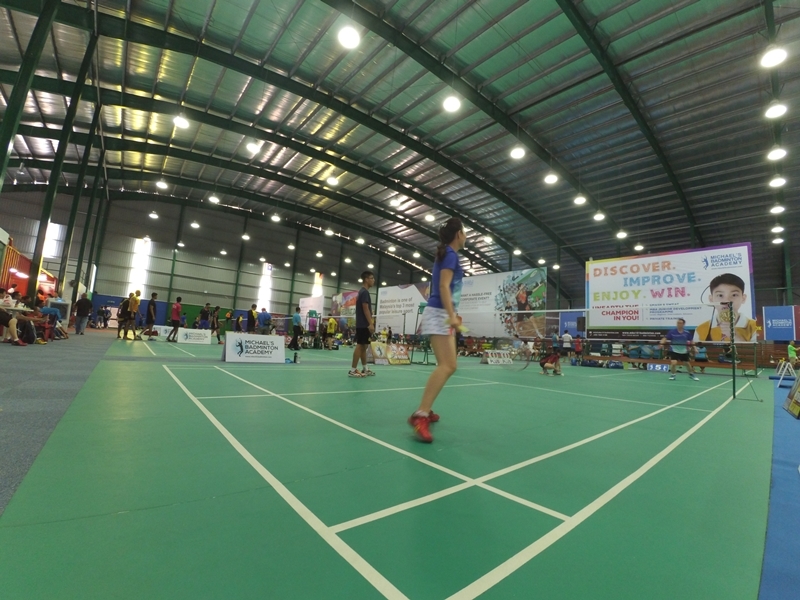 This 8th MBA International Badminton Championship was held for three-day and it managed to attract over 450 local and international badminton players to Port Dickson to participate in 25 different categories. The tournament includes all categories in an official tournament and also offers additional categories which are popular amongst families such as 3v3 (triples instead of just doubles) and family doubles (one parent and one child). I was playing for Open doubles category. My opponents are really good and I think they deserved to win and I really need to brush up my skill and stamina. People say badminton game is for all ages and these MBA Tournament participants are from Taiwan proved it right. All of them here are above 80 years and there are two (one sitting on left and another middle) are 97 and 94 years old respectively. Seriously they don't look like one probably because of their active lifestyle of playing Badminton makes them looks healthy and young. Spotted Xiong Guobao who used to be China national badminton team and he was like the star player back in the 80s. He is also known as the backhand king... damn impressive when I watched his Youtube videos. Overall, Malaysia took the lead with 11 gold medals, followed by Indonesia with 5 golds and China, Taiwan and Singapore had 3 golds respectively. And Former Thomas Cup player, Mr Kwek Chiew Peng, 63, who also participated in the Championship walked away with first and second place for categories in men’s doubles (combined aged 110) and men’s doubles (combined aged 120) respectively. After the match & opening, we went to cafe hopping and found this really nice looking hipster cafe Inns J Cafe that's near to the Michael's Badminton Academy! Some of the food we tested! 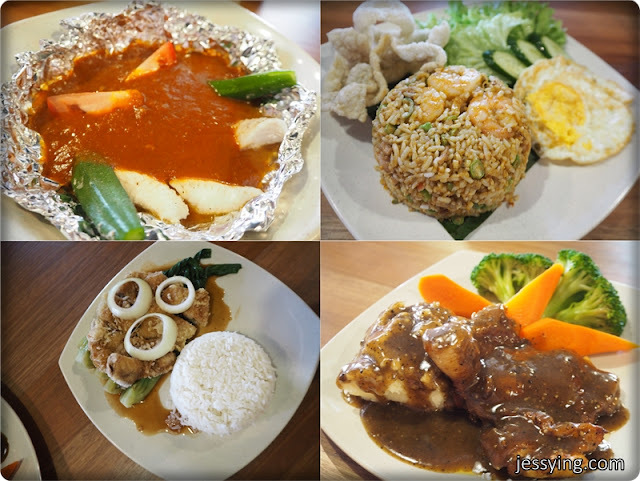 The price is pretty reasonable and taste is quite up to par to those in KLs ones.